It was January 13th when Matrix AI Network announced it had signed an exclusive agreement with the Chinese shipping and logistic giant known as the Beijing Haitong Transport Company (海通股份). This news came soon after the Tianjin government of China announcement of investment for the Matrix involved initiative known as the “Advanced Telecommunication Chain Industry Alliance”. Matrix’s technology is currently being used by a plethora top tier entities in a verity of fields such as clinical diagnosis, data analytics, image detection, and structural modeling among many other areas of utilization. What is the the Beijing Haitong Transport Company (海通股份)? 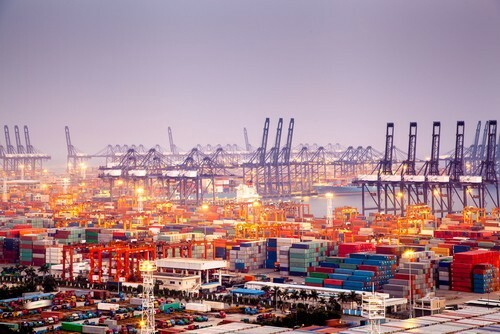 “Since its establishment, The Beijing Haitong Transport Company has been providing its customers with its exquisite professional shipping knowledge and years of experience in shipping. For example, CITIC Guohua, China Building Materials, China National Cereals and Oils, China Minmetals, CITIC Heavy Machinery, PetroChina, China , China Machinery, Shougang and SUMITOMO, GENCORE, TRANSAMMONIA and other large central enterprise groups and many large steel companies and manufacturers provide high-quality global international shipping services. The main business of Haitong Company is the logistics of engineering projects and the transportation of dry bulk cargoes, etc., and the transportation of large bulk cargoes, complete sets of machinery and equipment and large overweight equipment including steel pipes, grain, fertilizer, cement, mineral sand, coke, coal, etc. The company carries 3 million tons of imported iron ore, millions of tons of coal and 600,000 tons of petroleum pipelines. Additionally, Haitong has shipped equipment and materials for four complete cement plant construction projects overseas, and transported equipment and building materials required for the construction of the largest government residential project in the country to Angola (the project amounted to USD 3.5 billion and long construction period) Up to 38 months, the total cargo transportation amounted to 2.5 million metric tons. 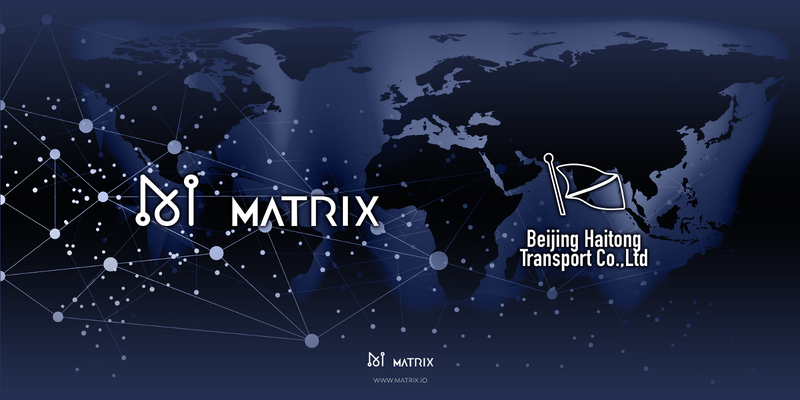 As such with most Matrix projects, the Beijing Haitong Transport Company project is a substantial endeavor. By utilizing Matrix’s technology and expertise, the Haitong transport company will be able to improve it’s current global shipping industry information systems using AI and blockchain. This will automate and streamline much of the supply chain, increasing both efficiency and simplicity.